During National Week of Conversation, we're reminded it can be hard to broach tough subjects and maintain civil discourse. But at the end of the day, that is what builds our great democracy. We often say that American democracy is a discussion – born from an argument, sustained by debate and compromise, the United States is an example to the world regarding the free exchange of ideas to move the nation forward. It’s why we often share reminders that it’s not only OK to have difficult conversations about current events around the dinner table or at holiday gatherings, it’s inherently American to do so. There is growing, even violent, division in communities across America. We’re withdrawing from conversations — eroding relationships and understanding – fraying our social fabric. Seventy-five percent of Americans say this problem has reached a crisis level. Experts say the solution is to cultivate more positive social connections. Thankfully, 75 percent of Americans are willing to practice conversations across divides, and 36 percent – more than 100 million people — want to see a national campaign to that end. The National Conversation Project seeks to mend the frayed fabric of America by bridging divides one conversation at a time. 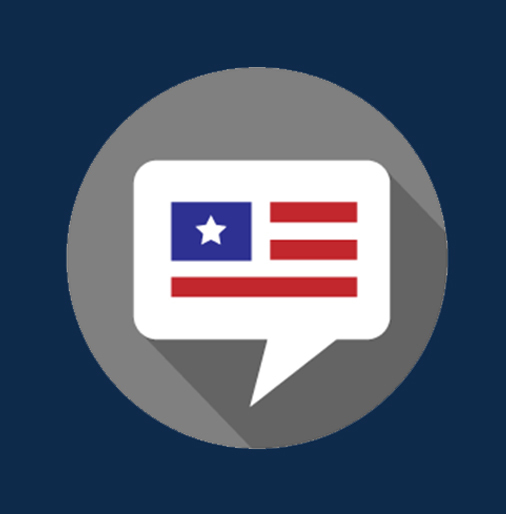 It promotes National Weeks of Conversation, #ListenFirst Fridays, and any conversation welcoming people of all stripes to revitalize America together. The project aggregates, aligns, and amplifies the efforts of more than 200 partners to mainstream conversations in which we #ListenFirst to understand. Piece of cake, right? Yes, we know, easier written than done. We’re not Pollyannas – we’re in the democracy-building business, so we know firsthand the challenges of introducing difficult subjects and maintaining civil discourse in today’s overheated political environment. But we have to try; that effort is what builds democracy in our nation, brick by precious brick. The National Conversation Project seeks to mend the frayed fabric of America by bridging divides one conversation at a time. Reaching Across the Divide from Essential Partners. This guide will help prepare you to speak about what is most important to you in ways that can be heard, and to hear others’ concerns and passions with new empathy and understanding—even and especially if you continue to disagree. Talking Politics from Living Room Conversations. Guided by a simple and sociable format, participants practice being open and curious about all perspectives, with a focus on learning from one another, rather than trying to debate the topic at hand. United or Divided from Living Room Conversations. This format allows small groups of acquaintances to listen and learn about where each has different opinions and where they have shared interests, intentions and goals. Bridging the Political Divide from the National Institute for Civil Discourse. The purpose of this exercise is to bring together people with different views so they can talk about the state of the country and how we can bridge the divides that make it harder to solve our most pressing problems. A secondary purpose is to collect ideas and suggestions from these conversations, so people can reflect on actions they may want to take. A House Divided: What Would We Have to Give Up to Get the Political System We Want? from the National Issues Forums. This issue guide presents different options for deliberation about difficult problems for which there are no perfect solutions. Each option offers advantages as well as risks. And each reflects different ways of understanding what is at stake, forcing us to think about what matters most to us. Whether it’s in the streets, at the dinner table, online, or at the stadium, remember: Democracy is a discussion. It’s our collective duty to defend it by having meaningful conversations with friends, neighbors, and especially those not in our usual circles who might not always agree with us. So Happy National Week of Conversation — we’ll see (and hear) you out there.